Lilith has a home! 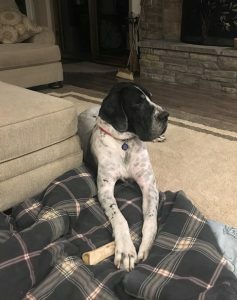 - Rocky Mountain Great Dane Rescue, Inc.
Lilith has a home with her foster Mom in Beulah, CO! 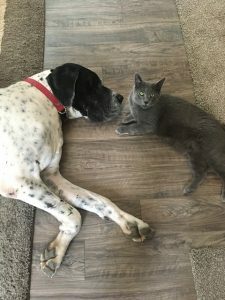 Lynette has helped Lilith through many months of heart worm treatment, and she and Lilith have a bond that could not be broken! Lilith is now heart worm negative and has a wonderful life ahead of her!! Lilith will share her home with Taylor, a 7 year old Doberman, Sophie the horse, Mia the Macaw, and a goat named Jeff! Lilith enjoys helping Lynette take care of all of the little woodland creatures that are in need of rescue, and going for walks on her beautiful property. We are so happy for this Lilith and her new family! Way to go sweet girl!